Why Create the Lipsey Clinic? 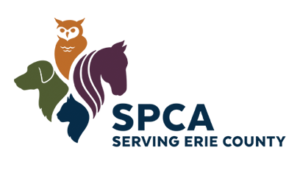 The SPCA Serving Erie County wants to ensure that every pet owner in our community has access to basic veterinary care they can afford for dogs and cats. This is important not only to help keep owned pets healthy, but to ensure there are fewer sick animals in our community and in local shelters. On average, at least one dog or cat is surrendered to the SPCA each day we are open by owners who tell us that the cost of veterinary care is the main reason the pet must be surrendered. The Lipsey Clinic at the SPCA is a community partner and plays an important role in veterinary medicine. There are many sources of assistance in keeping your pets healthy in Erie County, including traditional, full-service veterinary clinics, after-hours emergency clinics, veterinary specialists who provide specialized care for pets with certain emergencies or chronic conditions, other low-cost veterinary clinics, and nonprofit spay/neuter clinics like Operation Pets in Lackawanna. Each group plays an important role in our community with pet wellness and the SPCA Serving Erie County strongly encourages all pet owners to provide proper veterinary care for their pets in all stages of their lives.